His once glowing olive complexion was dull, and bags hung heavily under his eyes. With his enthusiasm for football seemingly eroded, José Mourinho’s tumultuous three-year reign as Real Madrid manager came to an end. The Special One had seemingly lost his stardust as he saw his side limp out in the Champions League semi-finals for the third-year running in 2013. Yet, there remained a once unthinkable avenue and safe haven for rejuvenation: Chelsea Football Club. Mourinho: The Rise of the Translator vividly details the José Mourinho story. 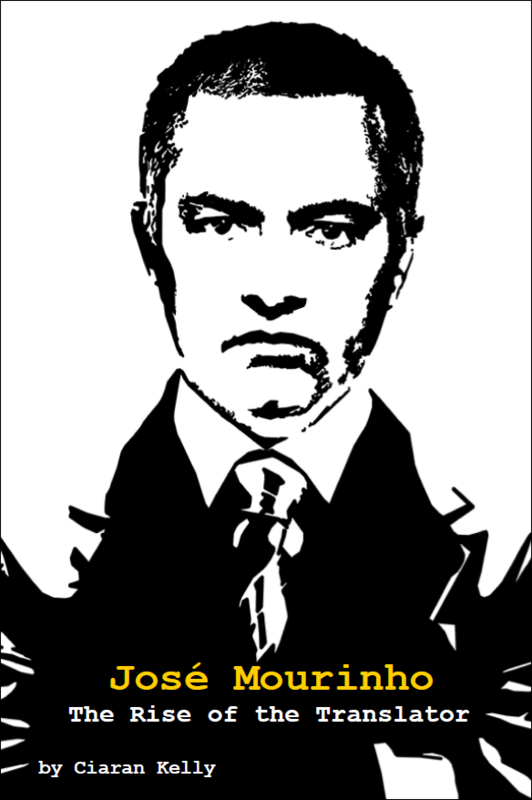 From growing up in a Portugal emerging from dictatorship, and struggling to live up to his father’s legacy as an international goalkeeper, it details José Mourinho’s extraordinary journey: the trophies, tragedies and, of course, the fall-outs. Starting out as a translator for the late Sir Bobby Robson, Mourinho has come to define a new breed of manager, with his unrivalled use of psychology, exhaustive research, and man management providing ample compensation for an unremarkable playing career. Mourinho has gone on to become one of the greatest managers of all-time. From Porto to Chelsea, and Inter to Real Madrid – the Mourinho story is as intriguing as the man himself. Now, a new challenge awaits at Stamford Bridge. Covering the Mourinho story to October 2013 and featuring numerous exclusive interviews with figures not synonymous with the traditional Mourinho narrative. Book Categories: Biography, Soccer and Soccer Biography.